It’s not uncommon for adults to change vocations, sometimes more than once. Transitioning to a career in health care is not out of reach, no matter your age or experience level. Big Apple Training in the Bronx and White Plains, NY, prepares students for such a profession with their high-quality instruction and support. They explain why more people are pursuing a job change and why you should consider it, too. Many start on a career path when they are young, only to find that their jobs are not as satisfying as they’d hoped. Professions in the health care industry are quite rewarding for many reasons. You’ll enjoy greater flexibility, both on a daily basis and with vacation time. Job security is high, as the demand for medical professionals continues to grow. Finally, helping others is very fulfilling on a personal level. If you’re considering training in the medical field, you have many job options to choose from. 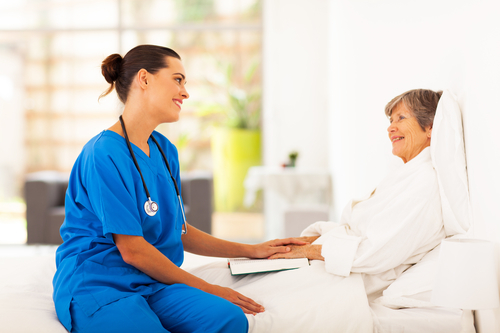 Certified home health aides provide a variety of services to those who need care in their residence. Certified nurse assistants work in a clinical setting, side by side with a medical team. Administrative professionals work behind the scenes to keep the industry functioning efficiently. No matter your desired preferences, there is an appropriate role for you. Some may consider a vocational change later in life to be risky. One of the benefits of making the switch to a career in health care is that you can keep working while undergoing training to minimize financial instability. You and your family members will want to discuss your finances and make a list of pros and cons regarding your decision. Take time to weigh the benefits, time commitments, and extra demands on family members. If you’re dissatisfied with your current position, it’s not too late to think about a career in health care. Big Apple Training in the Bronx and White Plains, is the premier educational institution for anyone seeking to pursue vocational training in the medical field. To learn more about their certifications, call (914)437-7373, or visit their website to browse the range of classes they offer.